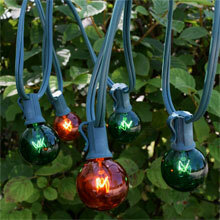 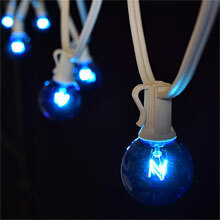 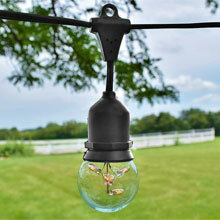 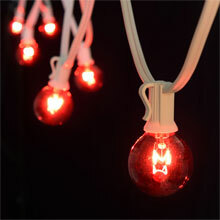 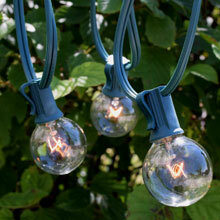 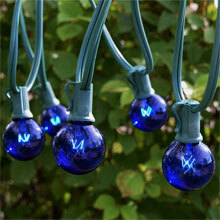 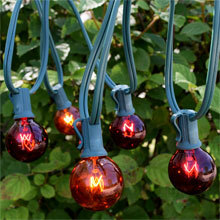 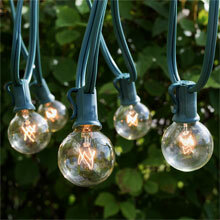 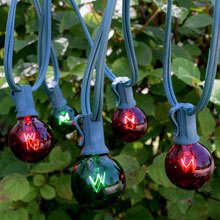 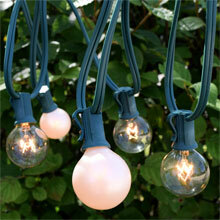 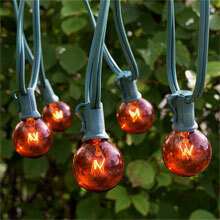 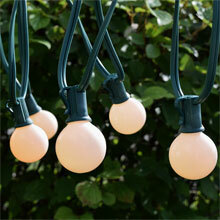 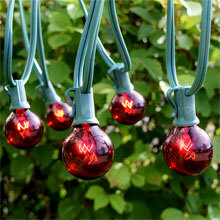 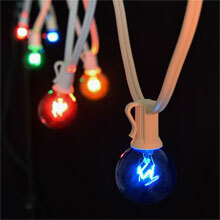 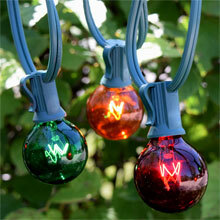 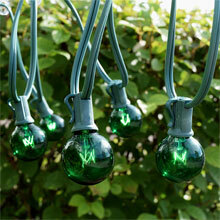 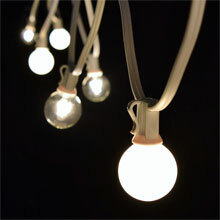 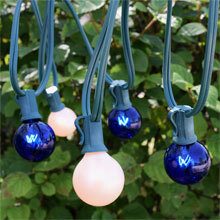 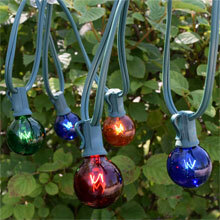 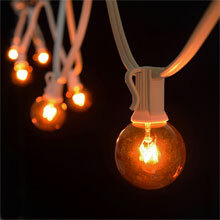 Provide your wedding, special event, restaurant or any event with these outdoor globe light strands. 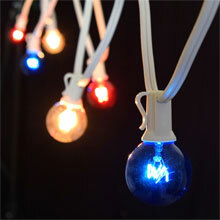 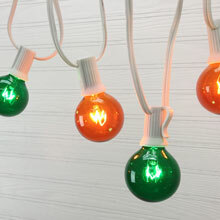 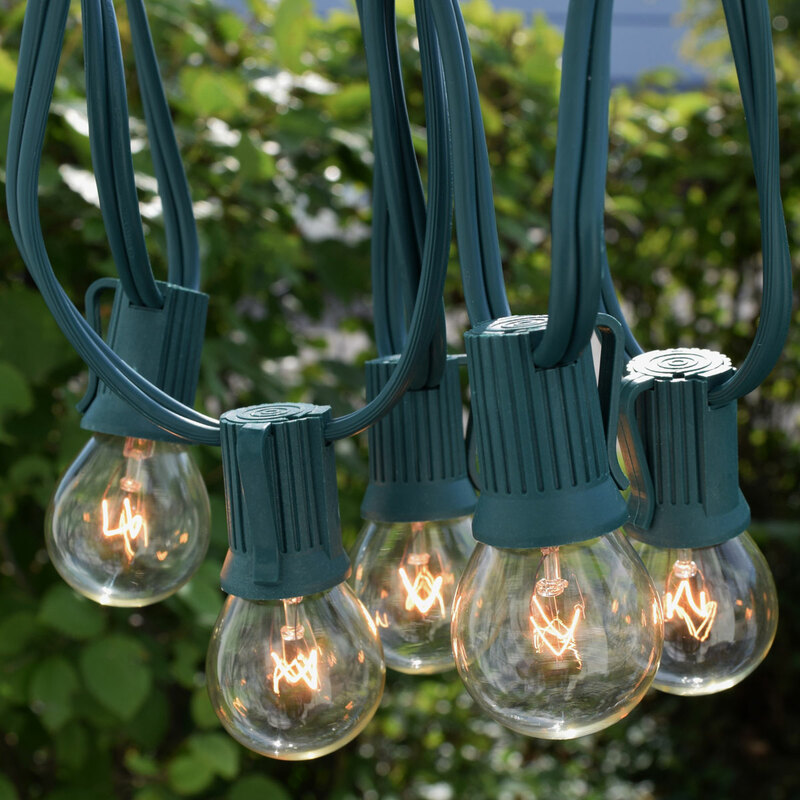 The great thing about commercial globe string lights is that the variety of strand lengths and bulb sizes put you in charge of exactly what you want and where you want to hang them. 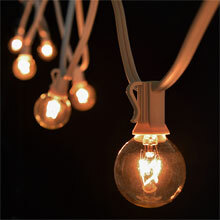 Commercial globe lights are typically C7 or C9 light sockets on strands that range from 25 feet in length to 100 feet. 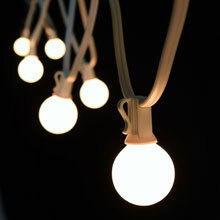 Common terms for this style of commercial light strands is festoon lighting, market lighting or cafe and bistro string lights.